We know that being a parent can be tiring at times. You deserve a tropical getaway! Luckily, Fort Lauderdale makes it easy for you to enjoy time off and keep your kids occupied. There are so many things to do in Fort Lauderdale with kids! Whether your family is into science, the ocean, or just having a blast, you’ll discover an exciting attraction here! Before planning your favorite things to do in Fort Lauderdale with kids, be sure to request access to our complimentary Fort Lauderdale Vacation Guide! It’s a complete list of hand-picked activities you and your family should consider when in town. In the guide, you’ll find our best recommendations for shopping, dining, and adventuring. Get your copy today! The Funderdome Indoor Playground and Cafe in Fort Lauderdale is the ultimate stop for a day full of play. Tire the kids out while you enjoy a bite to eat and a cup of coffee at the building’s built-in cafe! Your kids will be having a blast running freely and making new friends on the facility’s top-of-the-line playground equipment. At this amazing place, the attractions include a: Toddler zone, sky trail ropes course, ball blaster arena, rock climbing wall, laser maze, interactive activity floor, and 30-foot tower that leads to even more epic activities! Children between the ages of six months and 13 years will remember a trip to the Funderdome for years to come. The Funderdome is only open Thursday through Sunday, so plan accordingly. Tickets can be purchased at the door! Bluefoot Pirate Family Adventures is one of the best things to do in Fort Lauderdale with kids! It’s a fun and interactive pirate cruise for little pirates aged between three and 10 years old. Held year-round, these themed treasure hunts set sail daily along the Intracoastal Waterway and feature all kinds of engaging activities. Children will love helping the ship’s first mate find hidden treasure, learning pirate talk, dressing like scallywags, and warding off attacks of rivals with water cannons! A fun waterway cruise for the whole family awaits. The goofy Bluefoot crew has a lot of fun portraying their characters and delighting the children with whom they work! During the winter months (November through February), cruises depart at 10 a.m., 12 p.m., 2 p.m., and 4 p.m. Tickets can be purchased for $25 per person (three years old and up). The Museum of Science and Discovery in Fort Lauderdale is one of the best Florida attractions for families! Whether your child is into learning about weather or fossils, we promise they’ll fall in love with this place. The museum features two floors of interactive exhibits, an IMAX theater, and a gift shop. An entire day can easily be spent here, and adults typically enjoy the experience just as much as their children! The Museum of Discovery and Science is open Monday through Saturday between 10 a.m. and 5 p.m. and Sundays between 12 p.m. and 6 p.m. Tickets can be purchased separately for each section of the museum. For access to the exhibits and one IMAX show, tickets cost $21 for adults and $16 for children. Infants under two years of age enter free! 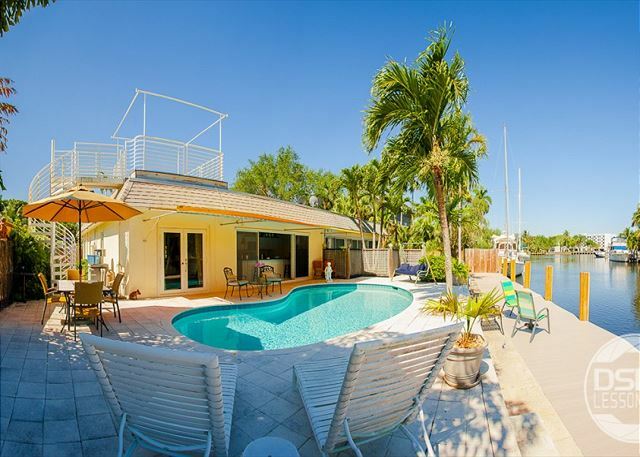 The best way to experience all of Fort Lauderdale’s most memorable family attractions is to rent a Fort Lauderdale Stays vacation rental! Each of our private rentals features premium amenities like a fully stocked kitchen, make-your-own Starbucks coffee, ultra-clean interiors, and spacious exteriors surrounded by tropical foliage. Your family will love gazing out at the sea from one of our Fort Lauderdale Beach properties, or watching the world go by from one of our Las Olas properties. Whatever you choose, you’re sure to create vacation memories that will last a lifetime! Check our availability today and start looking forward to an amazing family getaway. We look forward to hosting you soon!